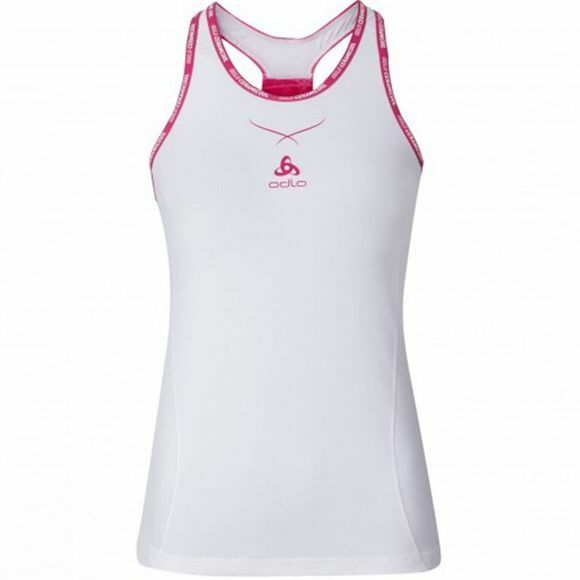 The Women's Ceramicool Pro Singlet from Odlo is a lightweight, slim fitting vest that offers excellent comfort in warm conditions. It has a soft hand feel making it comfortable to wear at all times and the mesh ventilation panel at the rear allows heat to escape quickly. The scooped neck and racerback design ensures full freedom of movement comfortably.